On a bitterly cold winter's evening, Katherine and I headed to the warm and opulent surrounds of the Regent Theatre to celebrate 120 years of the Children's Protection Society (CPS). 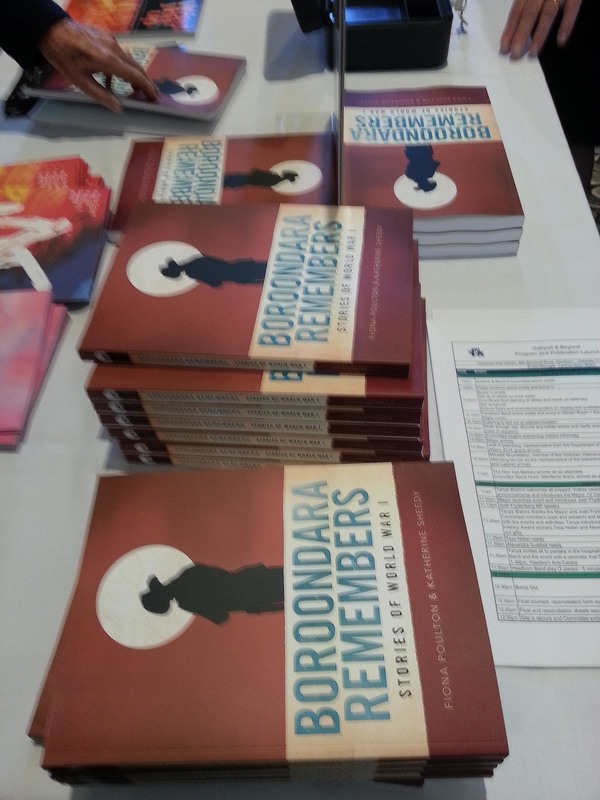 Way Back When has been working with CPS to produce a book and a website to explore the story of the development of the society, its ground-breaking work with families and its contributions to the child protection system in Victoria. The book, A journey of hope and resilience: safeguarding children for 120 years, was launched by Minister for Families & Children and Youth Affairs, The Hon. Jenny Mikakos on Wednesday 13 July. Professor Dorothy Scott OAM, who was on the steering committee for the project, gave a fascinating and inspiring speech on the evolution of child welfare services in Australia, and the part CPS has played and continues to play. The society was born on a Saturday morning in 1896, when a group of Melbourne’s most influential dignitaries and charity workers gathered at Government House with the intention of forming a group aimed at protecting children from cruelty and neglect. Led by Lady Sybil de Vere Brassey, wife of the Governor of Victoria, this meeting resulted in the formation of the Victorian Society for the Prevention of Cruelty and Neglect of Children (VSPCC). Over the past 120 years the society has provided services for children in need. 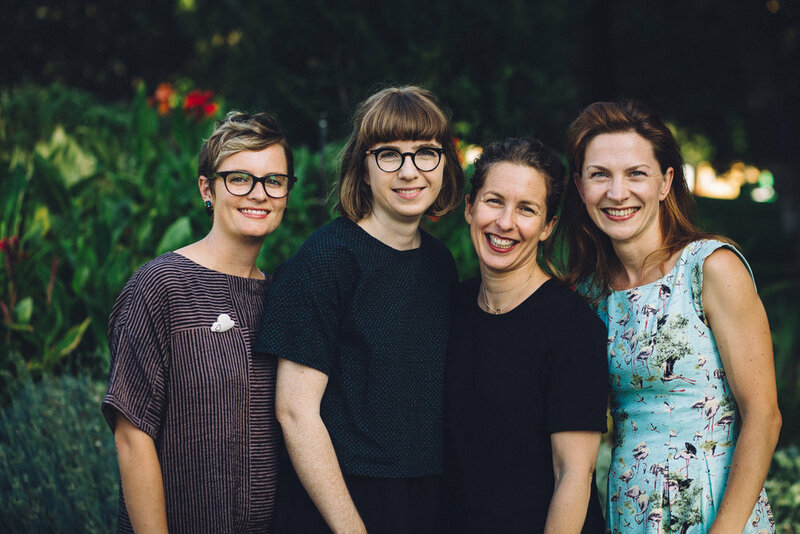 It has faced constant challenges with passion and commitment, and remained steadfast in its support for families and children throughout Victoria. An early VSPCC executive committee. Unfortunately Lucy and Sarah couldn't be at the launch, and were greatly missed! As always, this project was very much a team effort. It was an honour to work with CPS on documenting and celebrating its history, and to tell the story of such a long-running and important organisation. We're looking forward to working further with them on a website, which will feature audio documentaries using the oral history interviews we conducted with current and former staff as part of this project. You can read more about the launch on the CPS website. 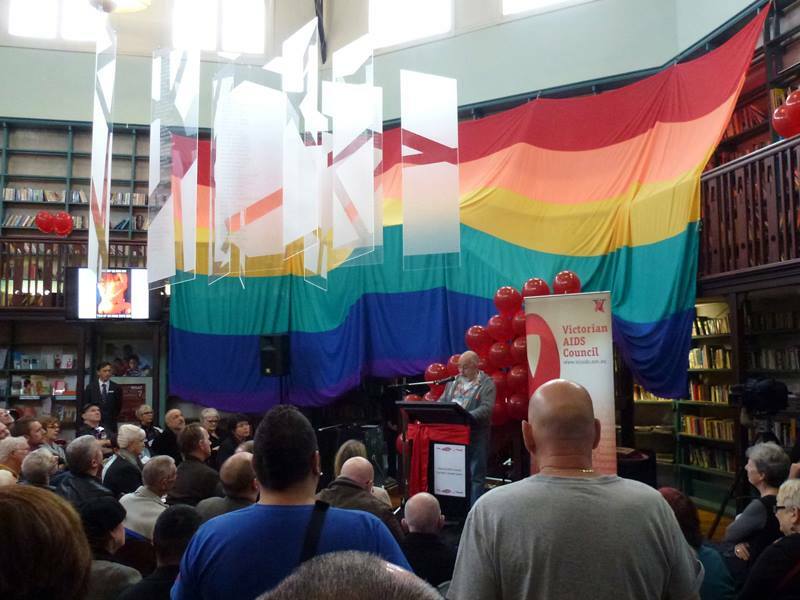 On Saturday 27 July 2013, the Victorian AIDS Council / Gay Men’s Health Centre (VAC/GMHC) celebrated their 30th anniversary with the launch of a commemorative book and website, Under the Red Ribbon, produced by Way Back When over the course of twelve months. The history was officially launched by the Hon. David Davis, Minister for Health and Ageing, at a birthday party held at the Positive Living Centre in South Yarra. Partygoers, including many people who have been involved with the organisation throughout its history, enjoyed hearing the memories of guest speakers Caroline Hogg (Health Minister in the late 1980s) and Phil Carswell (the VAC's first president), as well as readings from the book. Under the Red Ribbon traces the history of the VAC from its formation in 1983 in response to the impending HIV crisis, to its continued and unfailing commitment thirty years later to the hope of the eradication of HIV. The website features the full text of the book, as well as a timeline and lots of multimedia material, including audio documentaries, digital stories and films created from interviews with key people involved in the organisation over its history. This project was truly a team effort, involving all four members of Way Back When, and was certainly a project that touched all of us deeply. It was a great privilege to tell such an inspiring and important story, and to work with an incredibly passionate and dedicated community. For more photos of the launch, click here. 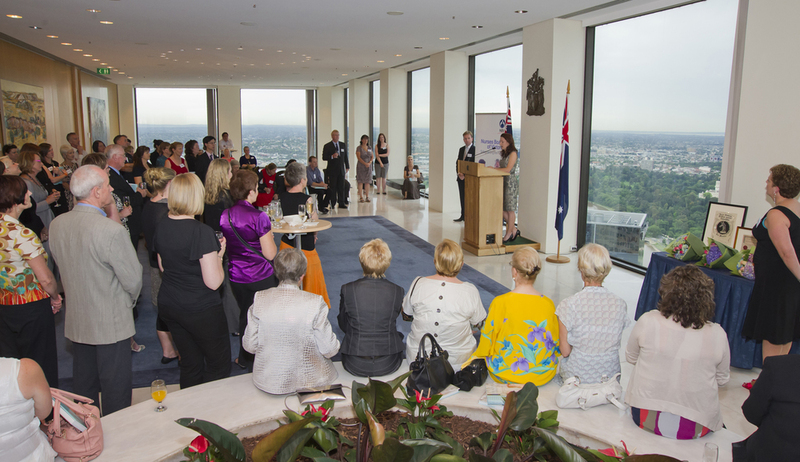 On 29 November 2011 The Act of Nursing: a history of nursing regulation in Victoria was launched by the Hon. David Davis MLC, Minister for Health. 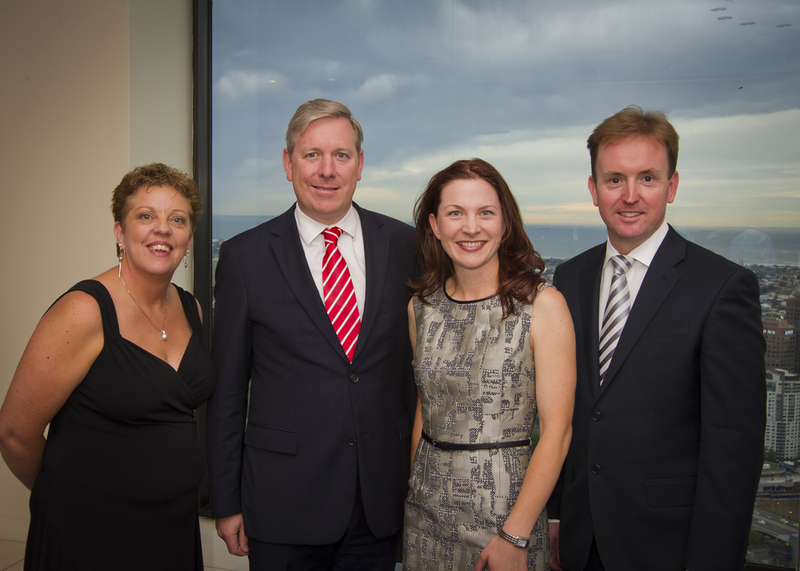 With spectacular views over the city from the Sir Redmond Barry Room on the 55th floor in Collins Street, it was a beautiful setting for the culmination of an 18-month project for Way Back When. Among the 90 or so people at the launch were the CEO and President of the Nurses Board, members of the steering committee, individuals who shared their stories via oral history interviews, the book’s designer, Lynda Patullo of Green Poles Design, and my colleagues Kirstie Close-Barry and Sarah Rood, who both worked on the project. During my speech I commended the Nurses Board of Victoria for having the foresight to record their history and in doing so leave a valuable record for future generations. 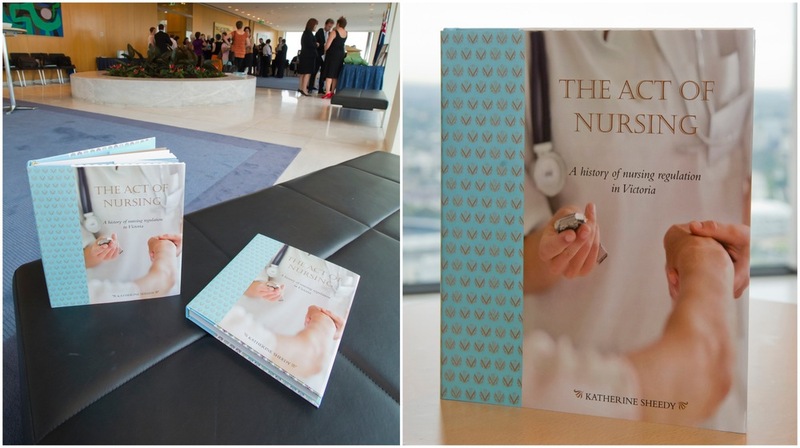 I was delighted to have been able to tell the story of such a strong and significant profession and it was an honour to document the proud tradition of nursing and midwifery regulation in Victoria.